Russia's hybrid military forces attacked Ukrainian army positions in Donbas 30 times in the past 24 hours, with three Ukrainian soldiers reported as wounded in action (WIA), according to the press center of the Anti-Terrorist Operation (ATO) Headquarters. "Russian-occupation forces resumed shelling the ATO strongholds, using heavy artillery. In particular, the enemy actively violated ceasefire in the dark hours," the ATO HQ wrote on Facebook. Read alsoMilitants shell Donbas villages recently liberated by Ukraine army – JCCCIn the Luhansk sector, the hottest spot was at the Svitlodarska Duha bulge, where the occupiers lobbed over twenty 152mm shells near the village of Novoluhanske. The enemy also intensively fired mortars of various calibers, grenade launchers and small arms on the Ukrainian fortified positions outside the villages of Luhanske, Troyitske, Novo-Oleksandrivka, Novotoshkivske, and Novoluhanske, as well as on the outskirts of Zolote and Popasna. In the Donetsk sector, the situation was most tense near the Sea of Azov. For several hours, the enemy had been firing 122mm artillery and mortars of various calibers near the villages of Vodiane and Shyrokyne. The Ukrainian strong points came under the enemy fire from 120mm mortars near the village of Talakivka, and from infantry weapons near the villages of Pavlopil and Hnutove. At dawn, the militants were shelling the Ukrainian positions from antitank missile system near the village of Opytne. 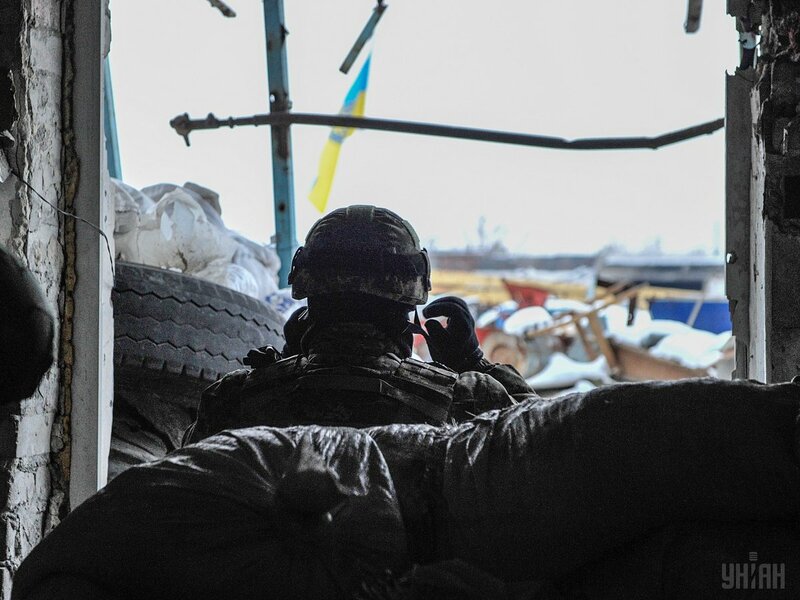 The invaders fired at least 200 rounds and shells on the ATO strongholds. The Russian-backed mercenaries also resumed shelling of the front-line settlements. The residential areas of the town of Avdiyivka, and the villages of Vodiane and Verkhniotoretske came under fire from mortars, grenade launchers and small arms. A 31-year-old woman was wounded as a result of the attack on Verkhniotoretske.